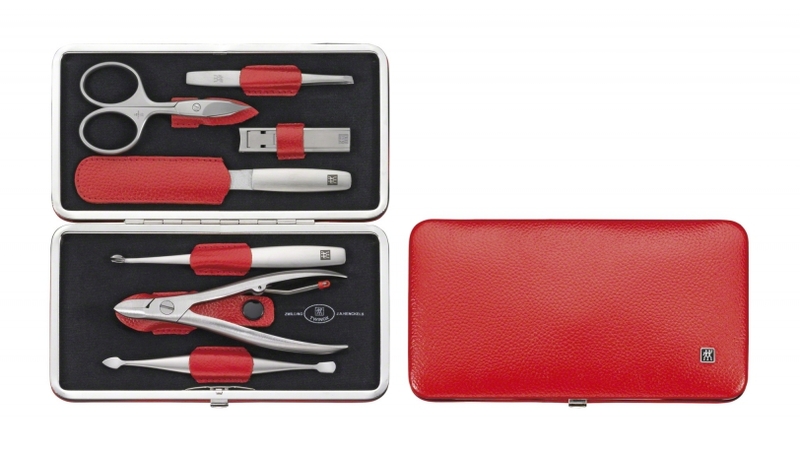 The functional frame case from the ZWILLING TWINOX® Manicure Sets range contains a 7-piece nail care set. The implements include a pair of combined nail scissors, a nail file, a twin instrument, a cuticle knife, nail nippers, tweezers and nail clippers. All the instruments have a matt finish and are corrosion-proof. The set ensures that you always have perfect nails: the nail scissors and nail file can be used to shorten and straighten finger nails, while the cuticle knife and twin instrument clean and care for the skin around the nails. The robust red leather pocket case features traditional graining. 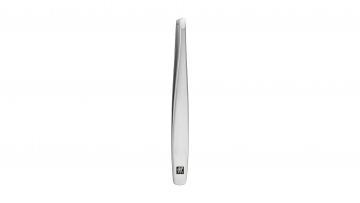 These beauty instruments for home manicures help to trim, file and clean your finer nails. 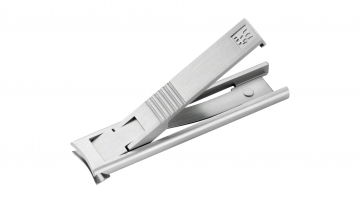 The sharpness of the scissors and clippers is exemplary, while the nail file and twin instrument gently care for the nails and cuticles. 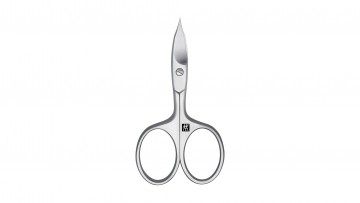 All instruments are easy to handle and use thanks to their delicately curved handles. The stainless steel, from which they are made, is corrosion-proof even at high levels of air humidity. This ZWILLING frame case measuring 18 x 9.5 cm provides you with an elegant and practical manicure set to use in the home or on your travels.